We are a small Charity, Reg Number 279029, with an annual turnover of approx £80k. The Charity has 9 Volunteer Trustees plus a Secretary overseeing the Charities activities. We fund our Charity from investment interest income, plus donations from organisations in our Office Supplies Industry. We provide one off and quarterly grants to around 70/80 individuals and families, per annum. In order to make decisions regarding the grants, we require where necessary, appropriate information about the applicant. We have a legitimate interest in holding certain information, but it is kept confidential and secure. We take protection of the information we hold about our beneficiaries, very seriously. We would never sell this information to third parties, or reveal it to outside bodies of any description. We hold two trustee meetings per annum and each of our trustees and our secretary are of the highest integrity and all known to me personally for a number of years. the trustees are fully aware of the need to protect our charities personnel data. This Privacy Statement outlines the way in which we use and disclose personal data that is provided to us. We collect information about individuals who may benefit from our financial support, our grantees, our visitors, our supporters, our volunteers, our staff and trustees. 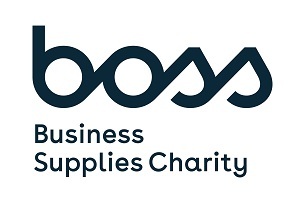 BOSS Business Supplies Charity (Henceforth referred to as The Charity) recognises that your privacy is very important, so it is equally as important to us that you are confident with the way we handle your personal information. We fully comply with the General Data Protection Regulations and the Privacy of Electronic Communications Regulations. Personal data includes any data that relates to a living individual who can be identified from that data. This may include an individual's name, address, telephone numbers and/or email address, bank details, other financial, health and background information. This may come from potential or actual beneficiaries, employees, visitors, supporters, volunteers, trustees and donors. The charity receives and stores personal information supplied to us in writing, via email, via the telephone, in person or online when applying, enquiring, or registering for help, trusteeship, visiting or volunteering opportunities or when attending events or donating money to the Charity. We may also receive personal information from third parties, for example, a welfare officer, charity, agency or organisation who refers you to our service. Your data is treated as strictly confidential and is only disclosed to parties who have a need to access it, to fulfil the charity's objectives. The Charity may disclose personal data to other employees including the Charity Trustees. We do not permit these parties to use such information for any other purposes than to perform the service instructed by us. We may also share personal data with suppliers, known as 'data processors', to process data on our behalf, for example to deliver goods or services to grant recipients. We may also need to disclose your information if required to do so by law. For example, we are legally required to provide your data to HMRC if you have agreed to us claiming Gift Aid on your behalf. By providing us with your personal data you consent to the collection and use of any information you provide in accordance with the above purposes. Where we offer you services either directly or through a third-party supplier, we will ask you for permission to use and/or share your information before we proceed. When the personal data is no longer needed it will be destroyed or permanently rendered anonymous. Examples might be that application process has been completed, volunteering, employment or trusteeship terminates. As a rule, we will hold your information for a period of up to 2 years from the end of your relationship with the charity. Individuals have the right to request access to and rectification or deletion of their personal data or restrict processing at any point from when personal data is provided to us. The Charity will comply with all legal obligations including GDPR when we hold your data. If you have any reason why we should amend, delete or restrict use of your data, please contact us to discuss your concern. Where grant recipients have provided information about their experience of applying for a grant, by whatever means, we will explain what the information will be used for and whether it will be held anonymously or not/ or it will always be used anonymously unless you agree otherwise. For example, to write case studies which can be used in our communications including PR and media activity, digital and social media, campaigning, fundraising materials and internal communications, to help us raise awareness of our mission. We would never use your story without obtaining your consent first, we would always contact you to discuss the use of your story in further detail each time.